Dramatic landscaping, two pools, two spas, (10) BBQ located around the pools ,miniature golf, and Two FREE tennis courts on premises. Parking within 50 feet of front door. 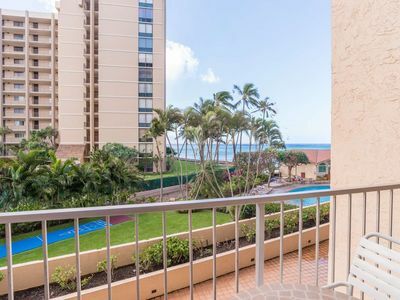 Garden Level 50 feet from the Ocean- Cherry Cabinets, Tavertine Floors, Granite countertops and all Bathrooms have been re-modeled. Washer and Dryer in unit! Stainless Steel Appliances. 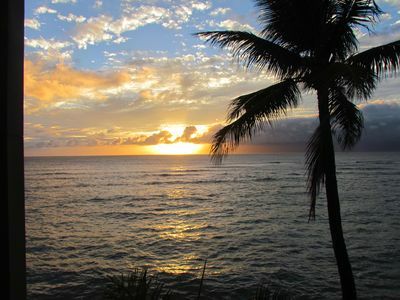 Lani to watch the sunsets! 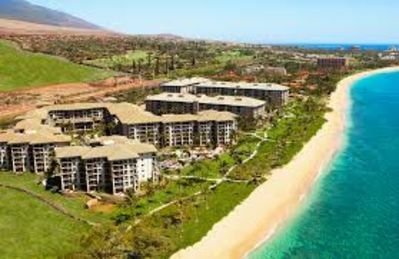 $17.00 per day resort fee to be paid at front desk upon arrival. 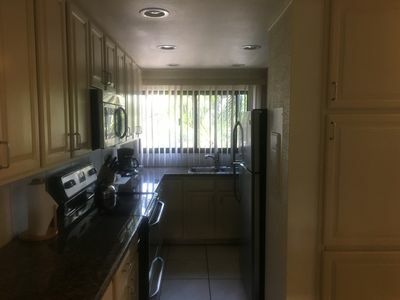 CD player, free Wi Fi, washer and dryer, as well as a wide variety of new appliances. We have a handicapped-equipped unit; specially-installed bars in bathrooms. Newly remodeled ! 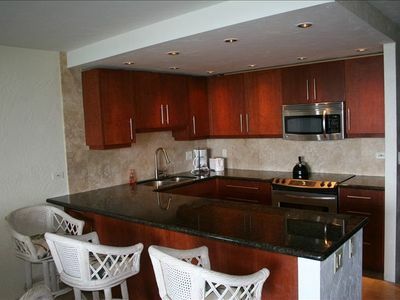 Granite countertops, travertine floors throughout unit, cherry kitchen cabinets! 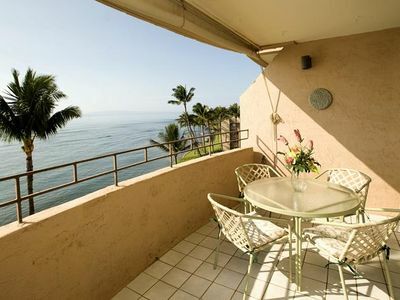 Oceanfront 50 feet with a lanai (patio) watch the whales and sunsets from your oceafront unit! 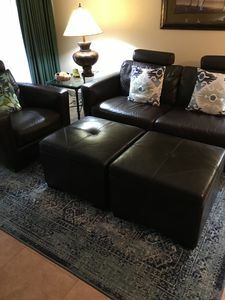 King in Master bedroom and double and twin in 2nd bedroom, couch opens up sleeping 2. 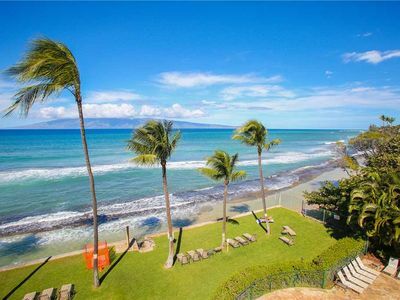 Walk along the oceanfront to Black Rock famous snorkeling and lots of restaurants and shopping! Grocery store is across from the resort! 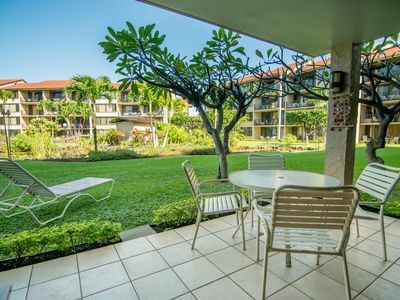 Take a day and tour Hana! Bike down from the Volcano at sunrise- Take a day and fish with the locals! 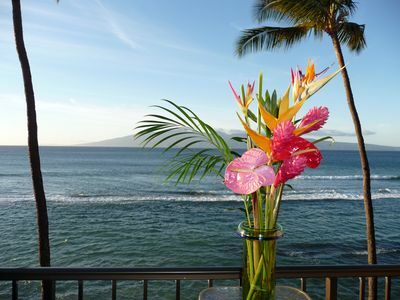 The Lahaina Yacht Club has a lovely facility with an over-the-ocean platform and offers excellent dining at reasonable prices. 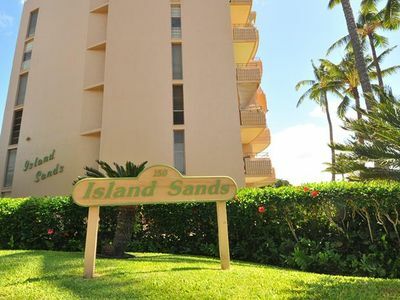 Keywords: 50 Feet from Ocean, snorkel,surf,swim,pools, hot tubs, tennis, golf! 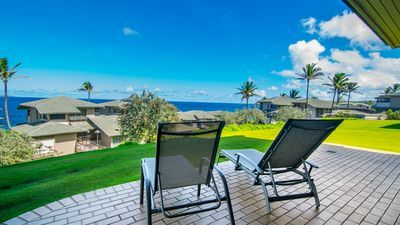 garden level, lani watch whales and sunsets! one mile to black rock- best snokeling! 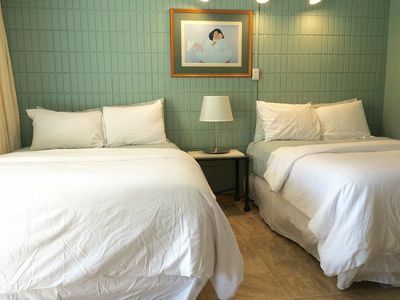 $199 SPECIAL to 4/28/19 Sleeps 6! 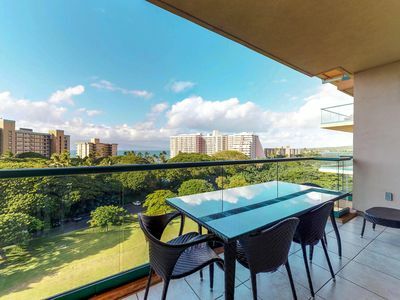 Quiet near KOI Ponds! Garden views! 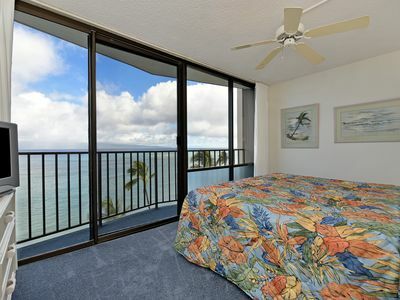 Oceanfront Penthouse 2BR/2BA Feels like being on a Cruise Ship! 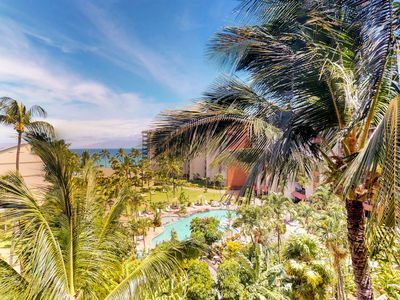 Maui is calling. We would love to have you here. 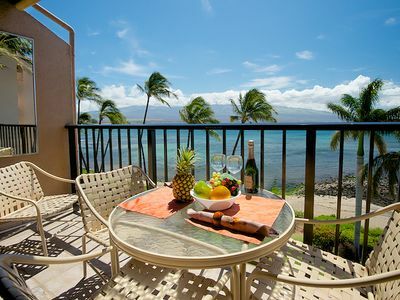 Beautiful OCEANFRONT at the Maalaea Banyans #418! 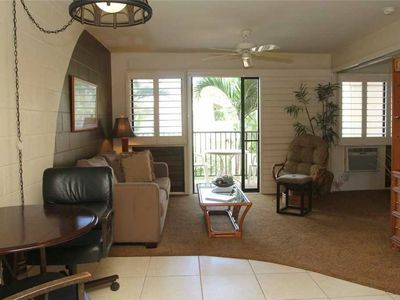 Freshly renovated waterfront condo w/hot tubs, pools, & views of the beach! 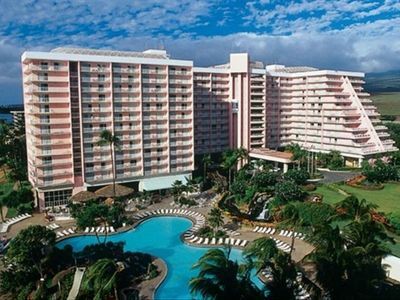 Save BIG and Win BIG now offering 20% off Spring Promo Ocean Front 2Bd/2Ba! 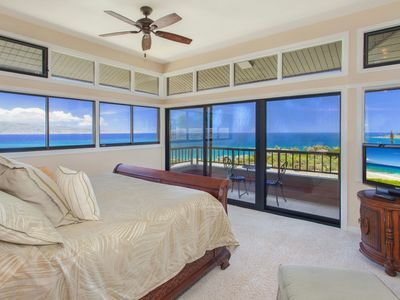 High-end remodeled villa, with stunning panoramic ocean and island views from every room.